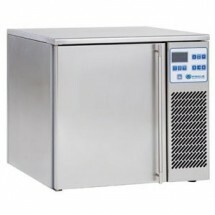 A commercial freezer is one of the most important commercial kitchen appliances for a restaurant kitchen. It allows restaurant kitchen staff to make the most of slow hours by preparing food in advance, as well as make sure there are adequate stores of raw ingredient such as meat. 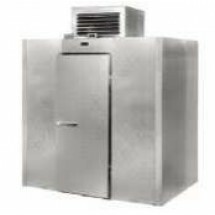 Depending on the type of commercial kitchen and the uses it has for a commercial freezer, different types of freezers may be the right fit. Below is a comparison of commercial freezer options. 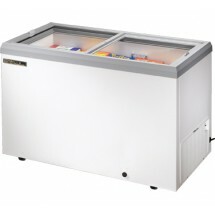 Most small food businesses do not need huge blast chillers and freezers. The added convenience in having a small blast chiller in a small restaurant kitchen is that you can save counter space by quickly storing pre-made foods in the Blast Chiller. Having a commercial freezer handy on the line during service can help get frozen foods out as quickly, conveniently, and beautifully as possible, helping the restaurant kitchen to run more smoothly. A walk in freezer allows plenty of room for preparing food in advance and storing it conveniently and in accordance with food safety regulations for a restaurant kitchen. Ideally separate freezers should be used for different food products. For example, meat and pastries should be stored separately. Horizontal commercial freezers are great for displaying frozen foods for sale in a commercial venue. 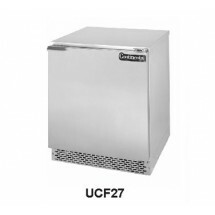 For kitchen staff, horizontal freezers make it simple to store and access frozen foods. However, to remain convienent, they must be well organized.